This is a repost from Trevin Wax’s blog, Kingdom People. Thank you, Trevin, for these words. They are a timely reminder for this husband of a an amazing stay-at-home mom. You come to the end of your patience. You lose your temper. And you think to yourself, It’ll be a miracle if my kids turn out okay. You see, there are no perfect kids and no perfect mothers. No matter what you read in blogs, see in magazines, and learn in books. There are sinful kids and sinful moms and dads. And the only thing greater than both is the grace of God. The God who says “there is therefore now no condemnation for those who are in Christ Jesus.” The God who loves to forgive, to transform, and empower. Friends, I’m very excited to announce the news of my first book, Reformational Manhood. This book is something that I have been working on for a little over two years and I couldn’t be more thrilled about its future release. The book is being published with Borderstone Press. Borderstone is a fairly new publishing company based in Arkansas, and they have published several great works already. They have a very bright future. I am humbled and honored to work with them on this project. 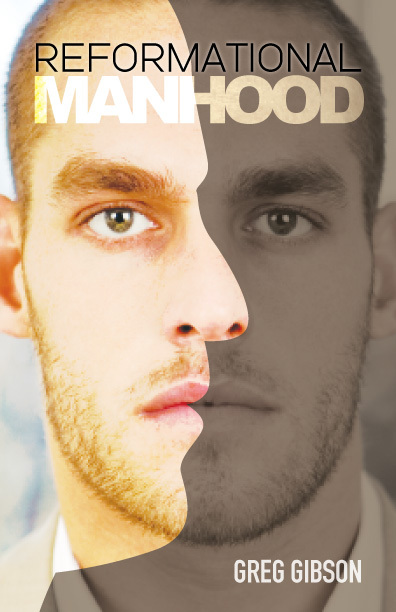 Reformational Manhood is a book all about biblical manhood. In fact, it is written in first person and it is about my journey into understanding and practicing manhood according to Scripture. I tell stories from my past. I talk about interactions with men in whom I have great respect. I talk about my failures. But most importantly, I look to Jesus, the only perfect man, and attempt to draw implications from his life, finding hope in the truth of the gospel when we fail to be this type of man. In today’s culture, manhood is defined by our culture. In Reformational Manhood, I challenge young men (and all men really) to practice biblical manhood NOW. I challenge young men to get jobs NOW. To become leaders NOW. To learn Scripture NOW. To prepare themselves for marriage NOW. To clothe themselves with courage NOW. And to become a man according to Scripture, not of culture. And much more. This book is written primarily to high school guys, college guys, and 20-somethings. However, it is written, in a way, to all men. It doesn’t matter if you are 50 years old, Reformational Manhood, can be applied to you if you define your manhood according to our culture and not of Scripture. Secondly, I would challenge older men to read it, because we must begin to challenge, train, and equip younger guys, and this book is a guide to doing just that. Whether you are a teenager, a college student, a young man preparing for marriage, a husband, a father, a youth pastor, or a pastor — it doesn’t matter — this book is written for you. How can you help spread the word about the book? First of all, I pray that you would consider buying this book. It will be available at LifeWay Christian Bookstores, Barnes and Noble, and on Amazon. If your local LifeWay or Barnes & Nobles does not have it in stock then please ask them to order it. Secondly, I pray that you would tell your friends about this book. Put it on your social media accounts. Tell your friends who are in ministry. If you are a youth pastor or college pastor, then I pray that you would encourage your students to purchase it, as well. The book is due to be release before the summer gets here. A date has not yet been given from the publishers. What are REFORMATIONAL MANOOD CAMPAIGNS? In the coming months, there will be a few Reformational Manhood campaigns before the books release. I would love to see student ministries and college ministries all over the country go through this book with their young men this year. I will keep you updated on these campaigns as they develop and are announced. Again, please consider spreading the word. I am praying for a revival amongst the men in this generation that we would be men who loves Jesus, his church, and the nations. Act of Valor has made me want to become a Marine. Well, in my mind, at least. From beginning to end, this movie was full of mind-blowing scenes that left me on the edge of my seat. A quick side note on that phrase: I actually had a conversation with someone this week where they asked me if I was on the edge on my pants whilst reading The Hunger Games. I responded by saying, “Yes, I took my pants off, laid them on my seat, and sat only on the edge of them; back-pocket-side, of course.” And let me tell you, if I could have gotten away with taking off my pants and then sitting on the edge of them in the theatre during Act of Valor, then I would have been in action movie Utopia. Without giving away plot scenes or talking about how this or that scene was jaw-dropping, I’m going to focus on a few themes that this movie harked upon. The act of courage sings to the hearts of men quicker and faster than any other action. The courage it takes for men and women to step into uniform and go into battle for their country is awe-inspiring. Especially those whom face the realities of death in their missions. As biblical men, we are called to have courage. Maybe we aren’t called to become expert snipers, but we are called to lead, provide, and protect, and each one of these traits takes courage. What’s more, standing up for what you believe in takes courage. Defending the gospel takes courage. Asking a girl to marry you takes courage. Living a life of holiness according to Scripture takes courage. Sharing the gospel takes courage. Preaching the gospel takes courage. Courage is born not from uncertainty but from conviction. Leadership is viewed in a bright light in the military. In this movie, leadership is portrayed in this bright, redemptive light just the same. We see superiors lead their subordinates with boldness and courage, carrying themselves in such ways that their subordinates do not respect them out of rank alone, but because of character and service. As men who love the gospel, should this not be said of us in our homes, jobs, communities, and churches? We are given leadership not because of our position but because our character and service has proven our position of influence. This theme kept echoing through my head the entire movie. This group of soldiers, neigh warriors, that made up their platoon (or squad or whatever it is called) treated each other like they were family. Their bond was so tight that they called themselves brothers. I long for this in the church. Fourthly, the discipline it takes to be in the military compares with no occupation in the world. The discipline in their training, practice, execution of orders, structure, and lifestyle is par none. It takes discipline to be healthy. It takes discipline to work out. It takes discipline to love and serve your wife. It takes discipline to love your children and lead them spiritually. It takes discipline to spend time with Jesus daily. Discipline, in my opinion, could easily be said to be the framework of a man who practices biblical manhood. And finally, sacrifice. This is evident throughout the entire movie as men put their lives on the line for their fellow warriors, as well as their country. Sacrifice takes discipline. It takes courage. It means giving yourself to something greater than yourself — maybe an idea, a dream, a person, a family, an ideology, a belief, a hope, a conviction. Every time I see sacrifice in a medium of our culture, I picture the gospel, and I pray that this theme would point people to the greatest sacrifice in the history of our world — Jesus himself. And finally, something funny… before the movie, I was eating at Buffalo Wild Wings with a student of mine, named Andy. As I was praying out loud before our meal, I heard Andy begin to chuckle. As I said, “Amen,” and looked up at him, he proceeded to say, “Who is Chip?” “What are you talking about?” I said. You said, “Thank you, LORD, for his friend, Chip,” Andy said. At that point, I laughed out loud, almost spewing my Diet Coke all over the table, and gently corrected him, saying, “No, I was thanking the LORD for your friendship, not your friend, Chip.” Hilarious!